One of the joys of owning your own home is having the ability to inject a bit of your own personality into each of the rooms, and what a better way to start than with colour. It can be easy to stay safe and always go for the same shade of beige, but making your house a home is all about filling the rooms with colours and items you love. Our handy guide to choosing the right colours for your rooms will help inspire your creative side so you can find that perfect shade. If you’re stuck in a rut of always choosing the same colours, try looking to nature for inspiration. This doesn’t mean that you should choose a vibrant shade of green - nature is full of all sorts of wonderful colours. Why not take a trip to a local art gallery and look at the different landscape paintings? Artists naturally have a keen eye for picking out colours, and you, too, will most likely find a shade particularly striking. It might be the use of pink in a beautiful sunset or a rich shade of yellow on an autumnal tree. This will help you start to imagine how you might feature the colour in a room. You won’t necessarily use the colour on your walls, but you miht use it as an accent in your soft furnishings and find a complementing hue of paint or wallpaper. If you already have colourful objects that you love, try grouping them together in sets that have the same shade and consider putting them in the same room. 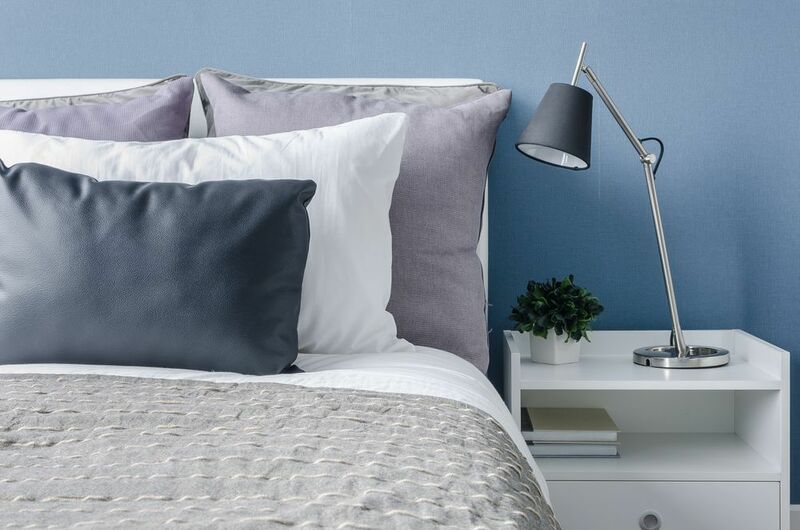 This will give you a theme to start from and you can find soft furnishings and accessories to match, which will help create consistency in the room. Plus it will help draw attention to your favourite objects, transforming them into features. One of the main deciding factors when it comes to choosing colours is how the room will be used. For example, we typically use our bedrooms when we want to wind down, so soft, calm colours like blues, greys and greens, work well here. In the kitchen, however, it’s likely that you’ll want a fresh and bright colour to give it a luminous glow while you’re busy cooking, so consider opting for a pastel shade. Rich, warm colours like terracotta, teal and crimson help to make rooms feel cosy, and are ideal in sitting rooms and dining rooms. You can use these colours on just one or two walls to create a feature rather than on all walls, as this can make rooms feel smaller. Using bright or dark colours in smaller properties can make them feel even more cramped, but you can still create interest using a neutral palette. Find a shade that you like and then pick another darker or lighter shade in the same tone. You can then use one colour on two of the walls and the other colour on the other two walls. This will help make the space feel larger without it looking blank or one-dimensional. Another trick is to use the same colours in a couple of rooms and the hallway to help the space flow. Choosing three colours is a very on-trend way of decorating a room. You can follow this simple rule of thumb to help you design a new look. 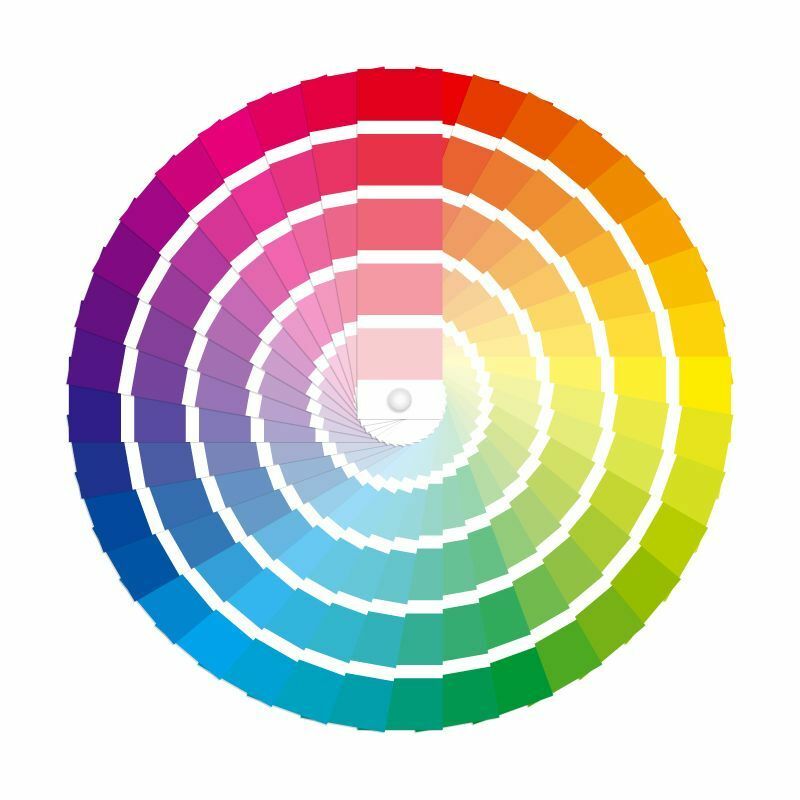 Pick on colour that you love to begin with and then use a colour wheel to find its opposite shade. You can then find a neutral shade like grey, beige or cream as a final colour that complements both of the other colours. Then use the neutral colour on the walls, the first colour in most of your soft furnishings and the second, opposite colour in a few accessories. 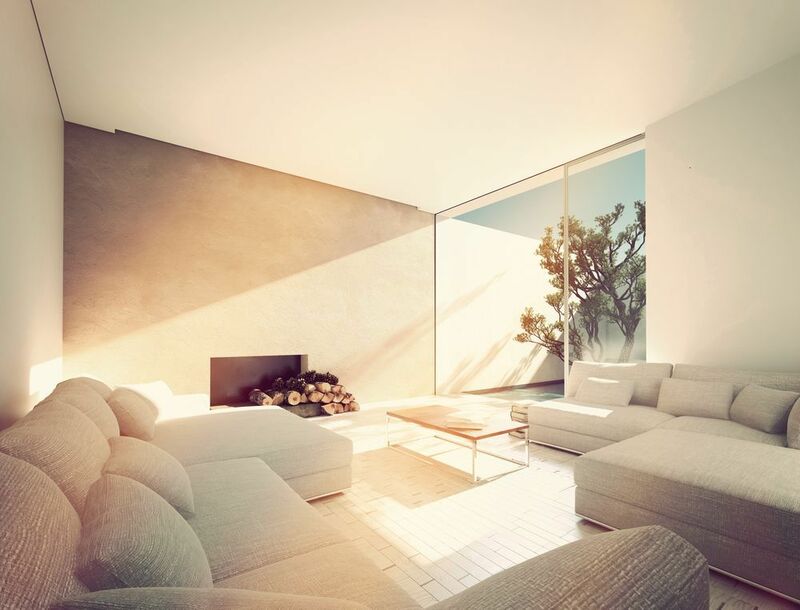 Various types of natural light can make a big difference to how a colour feels in a room. Before painting your room in one shade, paint the colour on a few pieces of card and place them in various parts of the room. You can then monitor how it looks at different times of the day. It’s also worth leaving them in place for a week as it will look different in sunshine compared to a cloudy day. If you find the colour looks gloomy on a wall that doesn’t catch much natural light, consider buying a lighter shade to apply to that wall or choosing a contrasting colour to create a feature.